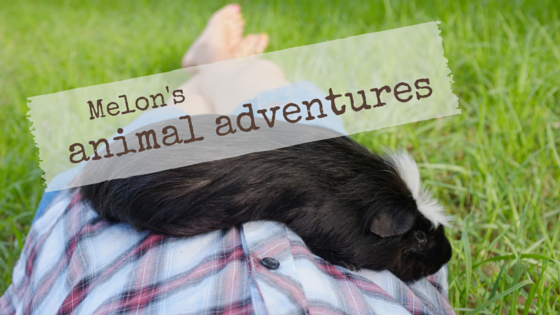 Melon's Animal Adventures: Why don't I get a dog of my own? Remember! Melon's Animal Adventures is now at our new web address, http://melonsanimaladventures.blogspot.com. You may need to add the new URL to your feed reader so we don't lose you! This is a good time to answer a few of the questions I was asked before my hiatus. A few of you have asked if I'd like a dog of my own. with the support of your family, would a rescue dog of your own be a possibility? I know you've thought of it in the past and I can't help but wonder if maybe having Gatsby at your home might have made the family see how much fun a dog can be and also that maybe it helped you? I would love a dog of my own. But it's not a possibility right now. I have dysthymia, which is a chronic (long-term) form of depression, as well as multiple anxiety disorders. Because of this I haven't been able to finish my studies or keep a job. What does that have to do with a dog, you ask? Well, they are just examples which show how disruptive my illness is, and which emphasize that when I say I don't get out of bed or feed myself some days, or I forget to water my plants so they die, I mean it. This means that having a dog isn't going to work, no matter how much I love it or how much care and training I give it on my good days. A dog is not a plant, people like to say. It's hard to ignore a dog. I know. But my guinea pigs were living, breathing, squeaking creatures and I managed to neglect them more than I'd like. I was lucky that Mom swooped in to care for them - Mom did almost all of the daily care for Cocoa for the last few years. I need a hooman to hold my foodables for me! So, to conclude -- I would love a dog of my own. I do get sad that it's not on the cards, because having Gatsby confirmed what we suspected -- having a dog around can help a lot. While Gatsby was here, I exercised, I slept well (no sleep meds at all! ), and I had someone and something to focus on other than myself. But it caused some difficulties, too (more on that later). But I (have to) accept that it's not on the cards right now, just like I (have to) accept not having the life I want right now. I (can only) do what anyone else with chronic illness does -- just put one foot in front of the other. Hey Melon, glad the blog move went well! I think you should be proud of yourself for your insight into your life and the reasons for not adding a dog right now. I wish more people were as thoughtful when it came to adding an animal to their lives. I am certain that when the time is right, you (and your family) will be an awesome home for another pet.